Ninja CPA Review was created by Jeff Elliott who also runs a CPA Exam forum called Another71.com. After experiencing initial success with his Ninja Notes product, he now provides access to a number of other CPA study materials. These include audio lectures, a multiple choice question bank, downloadable PDF textbooks, flashcards, and a condensed video course called Ninja Blitz. Each item can be purchased separately or you can buy the whole package “Ten Point Combo” for a discounted price. Previously, Ninja CPA Review relied on a proprietary dashboard for their online study materials, which was difficult to use and obsolete compared to other online training courses. Fortunately, Elliot has made some significant changes under the hood to create an educational experience for the 21st century. The new interface for Ninja CPA Review is divided conveniently into four sections. Each one is dedicated to the different sections of the exam: FAR, BEC, AUD, and REG. Once students pass a login gate, they will be able to access multiple-choice questions, simulations, and educational content on both video and audio. The original Ninja Notes are popular for a reason. Elliott was juggling a career and a growing family when he studied for the CPA exam himself, and he knew that time is a precious commodity for many busy students. His notes summarize the most important information and serve as a good review right before an exam. The notes explain difficult concepts in a straightforward, succinct way. Available as a hard copy or downloadable as a PDF file for iPhone or iPad, these well-organized notes get consistent positive reviews from customers who have passed the CPA exam. Elliott recommends you read these notes 5 times before the exam, and that you copy them (or your own notes) out to help you memorize the material. You’ll also get free updates until you pass. Ninja CPA is best for students who already have a solid understanding of the material and are looking for a summary/review or additional practice before they go into the exam. 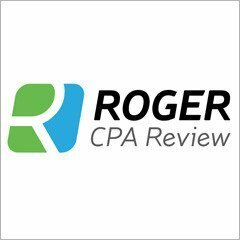 If you are just starting your CPA journey and are looking for a more comprehensive and streamlined course, rather than just trying to raise your score by a few more points, then you should definitely look into other CPA review course options better suited to serve as your primary study materials. For students who are unsure if this course is a good fit, Elliot has provided a free trial that offers an example of everything Ninja has to offer. Unfortunately, the process to receive this trial is difficult and somewhat frustrating. First, students must fill out a brief survey about their experience with the CPA exam and other prep courses. Then, they must enter their email address and read through a lengthy sales pitch, followed finally by a link to the free materials. Ninja CPA Review study materials are best used as a supplement to another, more comprehensive and user-friendly course. Ninja’s materials are relatively basic and disjointed, so students will have to skip around the site to piece together their study sessions, making it less suited to students looking for an all-in-one review course. However, if you just want a little extra practice or review on a specific CPA exam section, then some of the various course components would be a good option to use as supplemental study material. To see a list of more comprehensive CPA Review Courses, please click the button below!